After a short spell as a buy-to-play title in the hands of Insel Games, Guardians of Ember is now fully restored to its original free-to-play glory as Gameforge picks up the rights to the game. First released in Taiwan as Embergarde, this is the work of Runewaker, makers of MMORPGs such as Runes of Magic and Dragon’s Prophet. 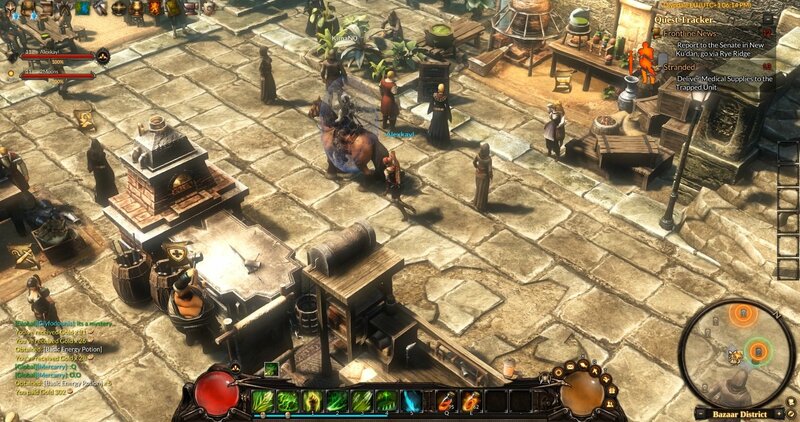 Unlike those two games, Guardians of Ember goes for a top-down approach akin to Diablo, or to name a more recent game from the same hack and slash school, Torchlight Frontiers. It’s your standard fare action RPG where the main motivation is the tremendous amount of gear to hunt and… well, hopefully there will be more to it, right? I can’t say for sure just how different this closed beta is from the game that was released in December 2016, but this gives me the benefit of going in with a blank slate and clear mind. This surely helps to put things in perspective and to judge Guardians of Ember for what it is, not for what it wasn’t. The first thing that I noticed was that Guardians of Ember isn’t a walk in the park. Unlike so many other MMORPGs – especially those cookie-cutter, auto-playing Chinese games that don’t even deserve the label –, you won’t see your character devouring levels right from the beginning. No, in Guardians of Ember you won’t jump to level four just because you managed to eliminate a ferocious ladybug and a pitiless fly. It’s more difficult than that and moves at an unusual slow pace. Character progression comes at a price and begs full attention. Several hours will pass before you reach level 10, with countless pieces of equipment sold and disassembled along the way. There is no endgame in sight and that famous saying will often sneak into your mind: “It's the journey, not the destination”. They have a point (who’s they, anyway? ), as the cream of the crop of the MMOs are known for paying too much attention to the destination (endgame) while largely ignoring the journey (leveling). That is one of the things that Torchlight Frontiers is setting to correct with its horizontal progression system. But a slower-paced character progression can be a double-edged sword. Guardians of Ember’s leveling often feels like busywork, as your hero limply explores the regions in search of the quest objective. As you look behind, a line of goblins, wolves, vultures, ghosts and other forest goons follow you close by, as if you were a high fantasy version of the Pied Piper of Hamelin. That is, until they reach the limit of their operating range, when they decide to turn around and merrily stroll back to their initial location. 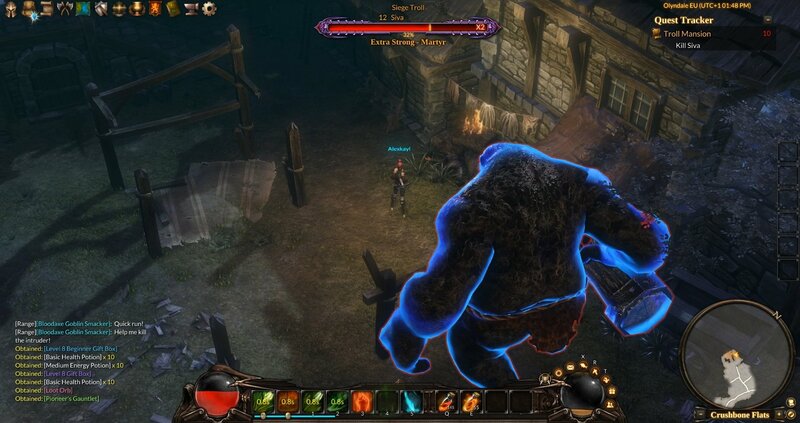 Rounding up the enemies and delivering justice by means of some sort of explosive – a toxic bouncing sphere, for example – is a good strategy to dispatch more creatures at less (energy) cost. More for less, as some would say. However, you need to be on your toes as the terrain can be treacherous in unexpected ways. I’ve gotten stuck between a crate and an enemy more than once, or glued to a bush without previous warning, often leading to inevitable death. While there is a jump command, it’s virtually worthless when it comes to knee-high fences, so be cautious when you valiantly aggro an entire dungeon only to get stuck on a pebble and die a dishonorable death. Allow me to make it perfectly clear – in terms of world building, Guardians of Ember is as generic as they come. It’s your traditional high fantasy universe with elves, dwarves, humans and… Neias (the race that is clearly designed for fans of loli characters). You can pick from six different classes, each one with specific attributes and specialties: Knight, Engineer, Arcanist, Ranger, Priest and Dark Knight. Apart from the different skills, the classes felt a bit too similar for their own good, with the same slow pace and lukewarm combat. Due to its structure and relatively low number of simultaneous quests – at least during the first dozen hours or so –, Guardians of Ember almost feels like a single-player RPG where you can get a friend for a few bouts of co-op now and then. Getting a party certainly helps with the leveling, or at the very least with dealing with the hordes that inadvertently will come your way. The game truly shines with a party, as this will lessen the quite frankly ridiculous pattern of shoot enemy-retreat that most confrontations are made of. Each level will gift you with some skill points, first for active skills and later passive skills open up as well. It’s a matter of trial and error before settling for the best build, something that may take a few playthroughs to finally make a proper judgement. Guardians of Ember brings all the flourishes that MMORPGs are known for, including the seemingly unlimited weapons and armor parts. I felt satisfied with the amount and variety of loot, but also somewhat enraged at the constant use limitations – to use that slightly better weapon I must level up, only to discover one other weapon that, once again, requires me to level up once more. It’s an unnerving vicious circle that isn’t unique to this game, but it felt too invasive, too often. Will you let me enjoy that better piece of gear for once? To take your mind out of all the fighting, running and galloping, you can spend some time fishing, mining, or crafting. There is no shortage of things to do, that’s for sure. I may have sounded too harsh during this preview, but Guardians of Ember is far from a bad game. In fact, it is a good game – or should I say ‘it’s shaping up to be’ in this case, considering that it’s a relaunch? I can’t tell for sure. Anyway, I hope that its approach to leveling inspires other developers, as I prefer a game that makes me earn the endgame instead of one that barely demands my interaction. The look and feel of the world is accomplished, despite being heavily cliched, and I got – slightly – addicted to messing around with gear. Just as I wanted to explore a little bit more, suddenly my exciting adventure came to an abrupt halt. During one of my incursions through a dangerous, murky cave, the enemies’ hit counter stopped registering, with all my attacks causing a massive zero damage. As I ignobly died and respawned outside, I realized that every creature had somehow activated the same invulnerability cheat mode, completely making my efforts redundant, even after rebooting the game. So much for my bravery and for my dozen or so hours of character progression. Nevertheless, I don’t regret the time I spent playing. 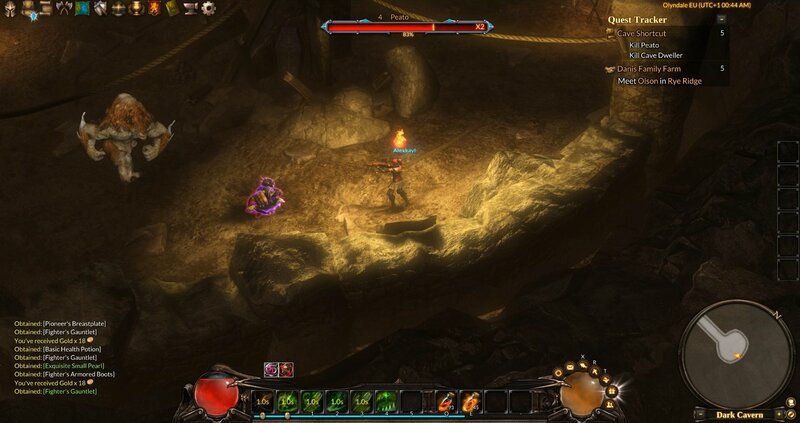 Guardians of Ember can be an interesting yet cliched action RPG, as long as you know what you are getting into. 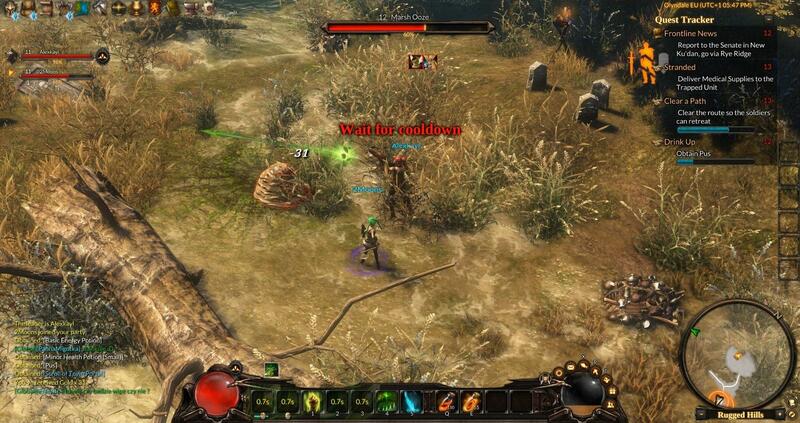 And that is exactly that: a solid but unoriginal hack and slash MMO game.